Larry Sprinkle has been working with the Holy Angels since 1977. 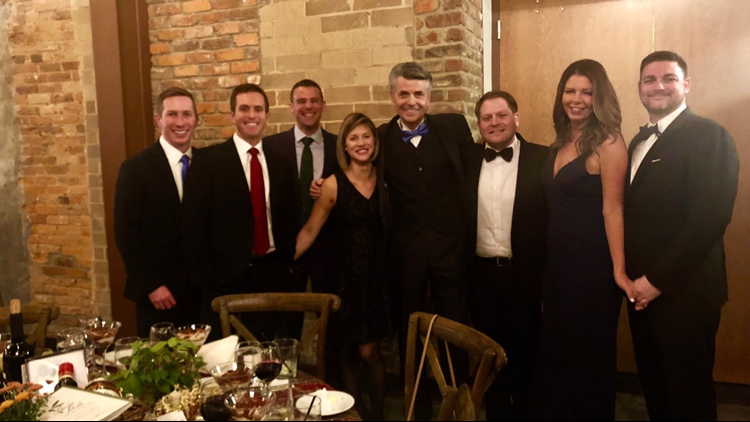 CHARLOTTE, N.C. — WCNC's Larry Sprinkle won the Legacy of Love Award from Holy Angels, a nonprofit organization in Belmont, N.C., on Saturday, November 17. He has been working with the Holy Angels since 1977. He volunteered as one of their guest emcees for nearly 24 years at the annual Angel Bowl. Eventually, guests started requesting Larry as the emcee "because he makes the event exciting and fun," according to Holy Angels. Larry shares his time with other non-profits in the Charlotte area, but Holy Angels said "his commitment and dedication to Holy Angels are reminders of the importance of our ministry to him. He constantly encourages others to care for and love deeply those who need it the most -- the residents who live at Holy Angels." Larry was surprised with the award while at the Grazie Mille Gala.